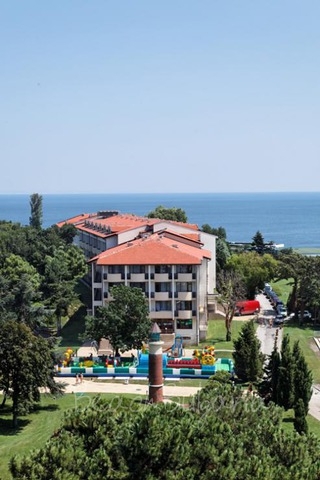 Marina Royal Palace Hotel is situated in Dyuni Beach Resort. - 214 standard rooms (26-28 sq.m) with a king-size bed or twin beds. - 43 junior suites (32-36 sq.m), a larger room with twin-bed and a sitting area. Minimum occupancy: 2 adults and 2 children or 3 adults. - 54 suites (38-40 sq.m), a separate bedroom with a king-size bed and a living-room with a sofa-bed. The guestrooms are fully furnished and decorated in warm colors. Each room features a large bathroom, Satellite TV, telephone, central air-conditioning or heating, fridge, hairdryer, safety deposit box (payable), sea or garden view, balcony, daily maid service. 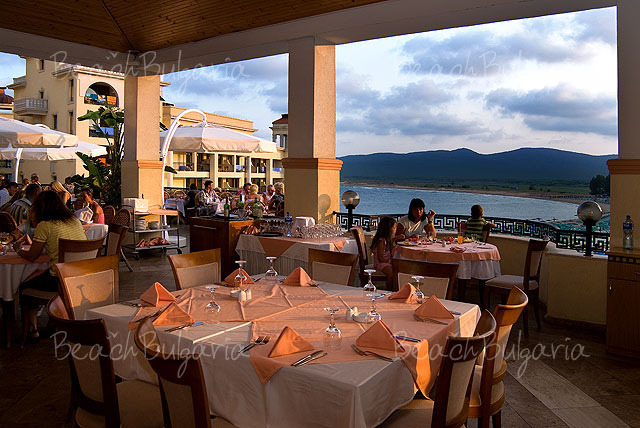 The main restaurant serves varied buffets of the Bulgarian and international cuisine, show cooking buffet, diet, baby and fish corners. 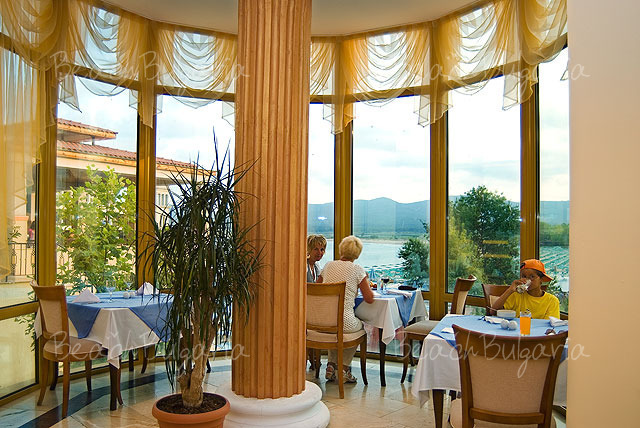 The restaurant offers 250 seats in the hall and 200 seats on the terrace. The hotel offers a panoramic lobby bar, as well. 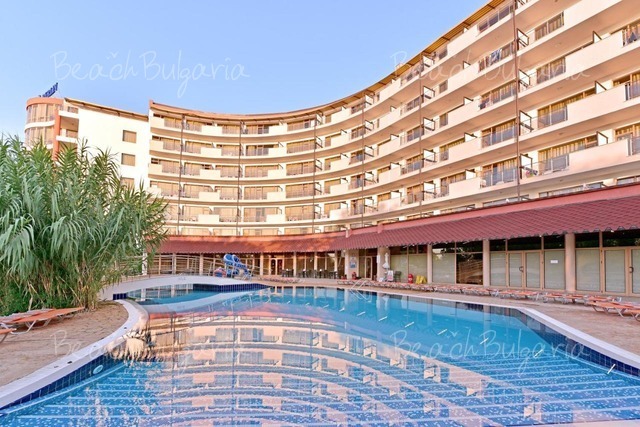 Marina Royal Palace Hotel offers sauna, steam bath, jaccuzi, indoor swimming pool, beauty saloon, fitness center, massage center. Please, post a comment on Marina Royal Palace Hotel. Food was plentiful but poor quality. I had food poisoning for 50% of my stay there. For the most part, service staff were unhelpful and unfriendly. Not even close to a 5-star hotel, which is what it was rated.